The World Evangelical Alliance’s (WEA) newly launched Peace & Reconciliation Network (PRN) is co-hosting an Eastern European Conference on Peace, Reconciliation and Social Justice in Chisinau, Moldova, on May 17-22, 2017. Focused specifically on the unique context of CIS1 countries, the conference aims to establish a regional network that enables participants from different nations to together address the needs and challenges of their region. 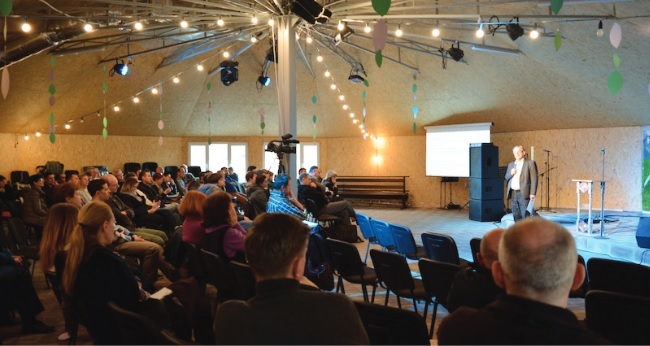 Co-sponsored by Micah Global and INFEMIT Europe, the conference invites Christian leaders from the Baltics, Ukraine, Russia, Belarus, Georgia, Armenia and Central Asia with some 150 participants registered so far. Speakers include Micah Global International Director Sheryl Haw, Dr. Chris Wright (UK), Dr. Peter Kuzmic (Croatia), Dr. Ester Petrenko (Latvia), Dr. Fiodor Raichinez (Ukraine) and Dr. Johannes Reimer, WEA’s Director for Peace & Reconciliation. The WEA PRN has only recently been relaunched under the leadership of Dr. Reimer who has been working with the WEA as Commissioner for Peace & Reconciliation to Russia/Ukraine since 2014 and brings extensive experience in the field. At a strategy conference in the Netherlands earlier this year, its five-pronged T-R-A-I-N strategy was affirmed as foundation for rolling out regional, national and local peace networks. TRAIN stands for Teaching of peace and reconciliation processes, Restoration in communities post-conflict, Assisting with resources and personnel, Initiating peace alliances, and Networking for knowledge and resource transfer. “To bring peace and restoration we need to equip local and national players with new capacities, so that they are able to engage with their community in unrest. TRAIN not only helps to assists actors for peace and restoration but also to initiate alliances where there is no peace initiative existent. It uses resources from the global network to teach and to establish centers to train them,” Dr. Reimer comments. Picture: Dr. Reimer speaking at a peace & reconciliation conference co-hosted by WEA and its Ukrainian partner “Bearer of Peace” in Kiev, Ukraine earlier this year. 1 CIS stands for Commonwealth of Independent States, the majority of which are former Soviet Republics.